How the GOP should handle the health care repeal vote. Washington—President Obama’s call for “a more civil and honest public discourse” will get its first test much sooner than we expected. 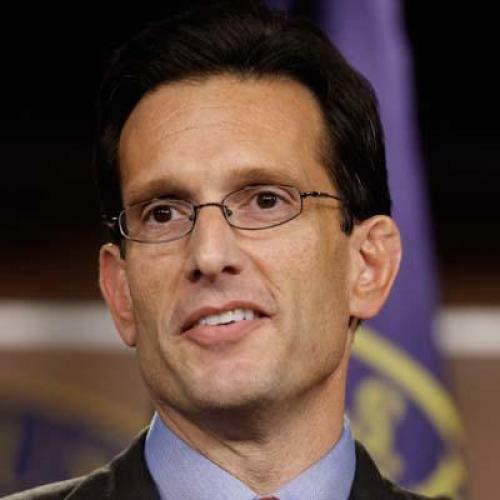 Having properly postponed all legislative action last week out of respect for Rep. Gabrielle Giffords and the other victims of the Tucson shootings, the House Republican leadership decided it could abide no further delay in a vote on its “Repealing the Job-Killing Health Care Law Act.” And so, as a spokesman for House Majority Leader Eric Cantor explained, “thoughtful consideration of the health care bill” is slated for this week. It’s disappointing that the House did not wait a bit longer before bringing up an issue that has aroused so much division, acrimony, and disinformation. After all, their repeal bill has no chance of becoming law. The president would certainly veto it, and the Democratic-led Senate is unlikely to pass it. Putting off this largely symbolic vote a few more weeks would have been a nice gesture. How might those words apply to this week’s debate? May I suggest in the warmest way possible that it would be an excellent start to a new era if opponents of the law would acknowledge that at no point did any version of the proposed reform include “death panels”? The sensible idea on which this incendiary phrase was falsely based once had Republican as well as Democratic support and sought only to make it possible for those with life-threatening illnesses to get good information from their doctors—if patients wanted it—on the various treatment paths open to them. Really, nothing in the health care debate was more destructive to honest discussion than the “death panels” charge. Can we at least put that behind us? As The Washington Post reported, the Republicans plan to argue “that Obama’s health-care promises—including that the legislation would lower insurance costs and help spur job creation—have not materialized.” Could they at least acknowledge that the law isn’t even fully in effect yet? And perhaps they should explain why it’s fair to hold the 10-month-old health care law to this standard while they insist at the same time on continuing the Bush tax cuts, which, after a decade, still haven’t produced the jobs they were supposed to create. Please note that I could have described the impact of the Bush tax cuts less charitably. It would also be hugely helpful if the Republicans began to detail what they would put in place of the existing law, and how their ideas would expand coverage, hold down costs and contain the long-term deficit. Constructive alternatives are essential to productive debate. The president declared that we can all use “a good dose of humility.” Absolutely. In that spirit, the Republican leadership could graciously change its mind on the rules governing consideration of this bill and allow some amendments to be voted on. For their part, those who believe the new law is a large step in the right direction and that repealing it would be a terrible mistake should freely acknowledge that of course it’s not perfect and could use improvement. They should welcome bipartisan efforts to make it better. Give the Republican leadership this: They have set up what may be the most challenging test possible of our determination “to expand our moral imaginations, to listen to each other more carefully, to sharpen our instincts for empathy.” May this week’s health care debate do all those things.